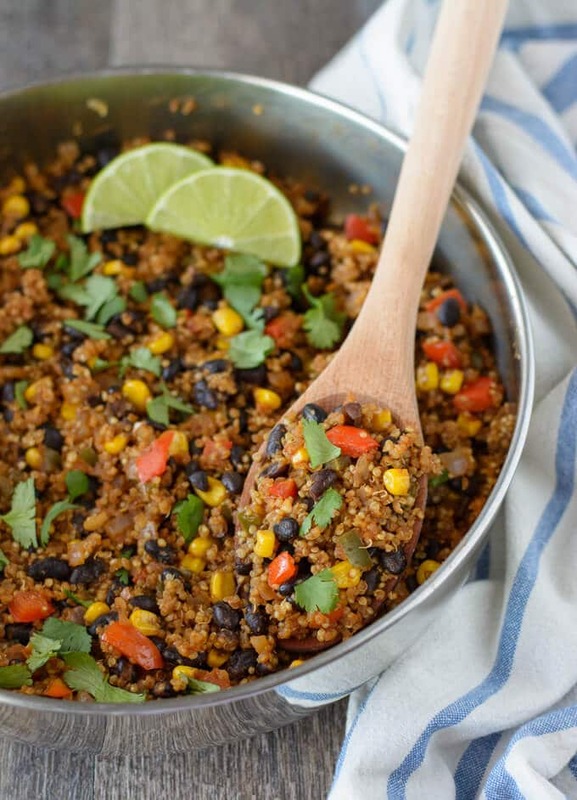 This Southwestern Quinoa and Black Beans recipe comes together in less than thirty minutes and uses mostly pantry staples. It’s an easy side dish that can double as a light main course for lunch! Most of the ingredients in this dish are items that I keep on hand, so it makes this easy to whip up just about any time. Having a well-stocked pantry is super important when it comes to cooking real food meals! I really like the combination of quinoa and black beans. 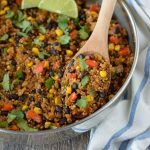 My Spicy Quinoa and Black Bean Salad is a huge favorite of ours and one of the most pinned recipes on my site. It’s perfect for lunch during the hot Summers we have here in Texas. I served my Southwestern Quinoa and Black Beans with some chicken cutlets that were seasoned with some of the same flavors. It reheats well, so it’s great for easy work lunches. I used the TruRoots brand of pre-rinsed sprouted quinoa. If your quinoa isn’t the pre-rinsed kind, you will want to give it a quick rinse in fine mesh strainer before adding it to the skillet. It should be rinsed prior to cooking because the natural coating on it, called saponin, can make it taste soapy or bitter. I left some of the seeds from the jalapeño in my quinoa and black beans for a little bit of heat, but you can omit them all together if you want. 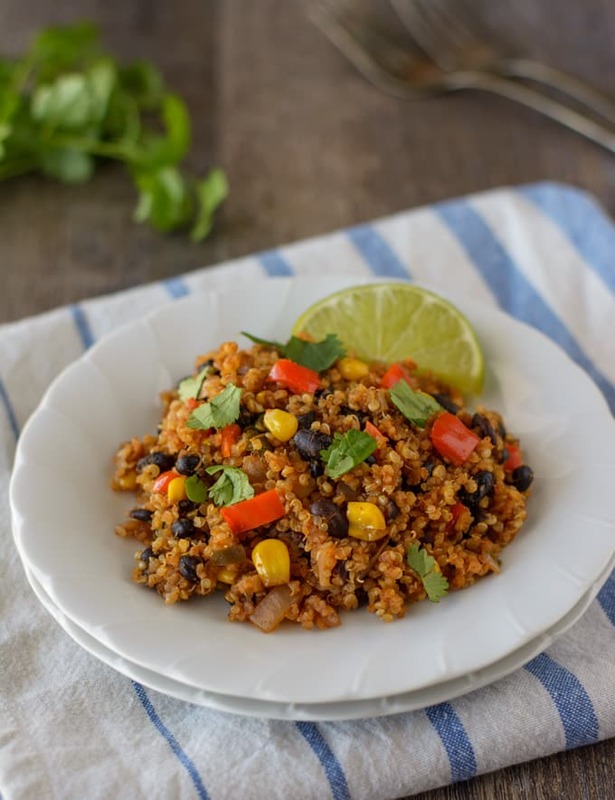 This Southwestern Quinoa and Black Beans recipe can be made in less than 30 minutes and doubles as a healthy side dish or light main course for lunch! Heat oil in a 10-inch skillet over medium heat. Add the onion and peppers to the pan, and let cook, stirring occasionally until softened, about 5 minutes. Add the garlic, chili powder, onion powder and cumin to the pan and cook until fragrant, about 30 seconds. Add the quinoa, black beans, corn, salt and water to the pan and stir together. Bring to a boil, reduce heat, cover and let simmer until quinoa is tender and water has been absorbed, 15-20 minutes. Fluff with a fork. Add the cilantro and lime juice to taste. Mix together, check seasonings, adjust if necessary and serve. By Tempie at March 16, 2018 .